If you can't find anything to do in San Diego, you're doing it wrong. There's tons of things to do in this great city. 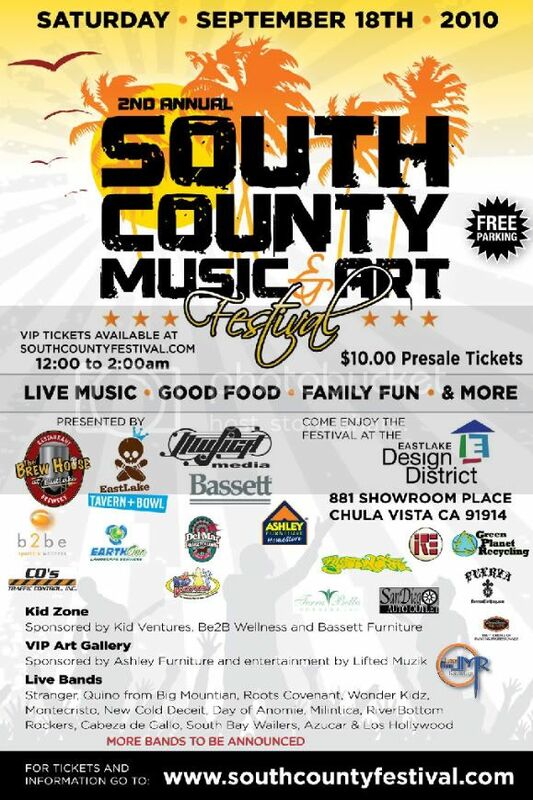 So, if you don't have anything to do, head on down to the South Bay/Chula Vista and check out the 2nd Annual South County Music & Art Festival. The event is taking place on Saturday, September 18th, 2010. Looks like tons of fun. As the flier states, live music, good food, family fun and more. For tickets and information, go to: http://www.southcountyfestival.com/.